Watch a replay of the Independent Artists Showcase at the 34th Annual Stellar Awards weekend, March 28, 2019, in Las Vegas. To watch the replay, click the "Watch the Replay" button above. Watch a replay of the Pre-Show at the 34th Annual Stellar Awards weekend, March 28, 2019, in Las Vegas. 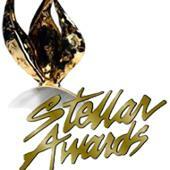 Watch a replay of the Radio Awards & Showcase at the 34th Annual Stellar Awards weekend, March 29, 2019, in Las Vegas. Watch a replay of the Red Carpet event at the 34th Annual Stellar Awards weekend, March 29, 2019, in Las Vegas. Watch a replay of the Social Media Lounge with Willie Moore at the 34th Annual Stellar Awards weekend, March 29, 2019, in Las Vegas.